There were several crucial games in the Leinster leagues in recent days, with varying repercussions for our own promotion hopes. One of the big draws in Bunratty this year and last year was former World Championship finalist Nigel Short GM, a player who first made the headlines when beating Viktor Korchnoi in a simo when aged just 10. There was a bumper entry of 20 St Benildus players at the 2012 Bunratty Chess Festival – 7½% of the total entry! Although there were no prizes won, there were plenty of good performances across the board. There was disaster for the Ennis team last night as they fell to their first defeat of the season at home against Portmarnock. The Bodley A team had their promotion hopes all but ended when losing 3½-1½ to Naomh Barróg last night. The BAs lost for the first time this season last night; a disappointing defeat against a relatively weak Inchicore side. The greatest move of all time? 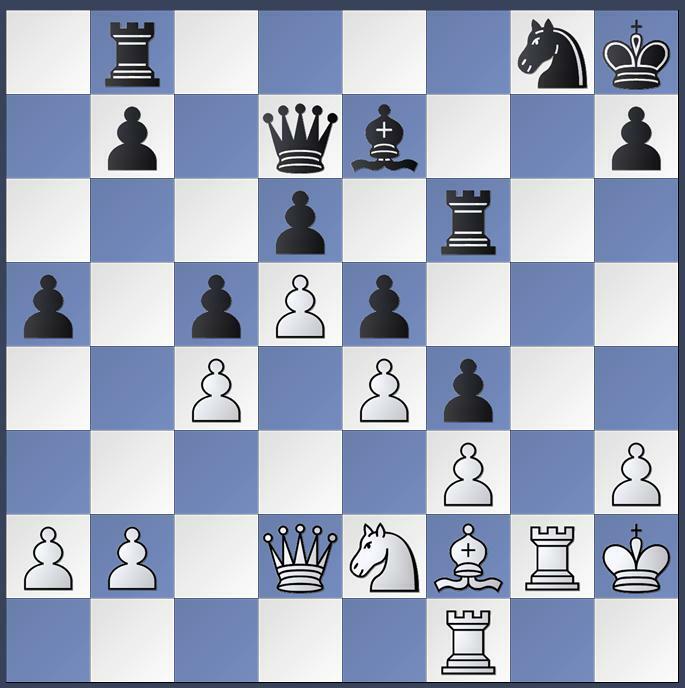 What did black play, and how did he win? Watch the video to find out! You can follow the suggested links at the end for similar videos. Averbakh, incidentally, is the oldest living Grandmaster, turning 90 last week – the same week as the second oldest (Svetozar Gligorić – 89 on 2 Feb) and third oldest (Mark Taimanov – 86 on 7 Feb) living GMs.